I recently had the pleasure of viewing new video of Kip Andersen and Keegan Kuhn Cowspiracy: The Sustainability Secret. The basic question these two film makers ask is why the contribution of livestock to ecosystem degradation is missing from the world’s environmental agenda. To find the answer they set out to interview environmental leaders as well as others to see if they could find the answer. The video is well researched and illustrated. But more than that, it is also entertaining. You will enjoy this video. The first lesson they learned is that no one wants to fund a video about why livestock degradation is ignored. That was a lesson itself about the cow conspiracy. The duo were not able to find any normal sources of funding, instead they had to rely upon contributions from strangers. But they persevered and produced what I think is one of the best environmental documentaries done in recent years. What they show and document in their video is the implicit or in many cases, the explicit omission of livestock production as a major source of global environmental degradation on many fronts including water pollution, deforestation, global warming, species extinction, ocean dead zones, and more. So, for instance, the duo interview various well known authors and scientists like rancher Howard Lyman, author of Mad Cowboy; Michael Pollen of Omnivore’s Dilemma; Will Tuttle, Environmental and Ethics author, Dr. Greg Lutis, and others who lay out the basic problem—no one wants to talk about the contribution of livestock to global environmental destruction. This is illustrated over and over again throughout the video where spokespersons for various “green” groups are interviewed and either avoid livestock as a problem or deny/downplay its contribution to environmental woes. For instance, Bruce Hamilton of the Sierra Club, is interviewed about global climate change. Hamilton correctly identifies fossil fuel burning as one factor contributing to global warming, but when asked about livestock’s contribution to green house gas emissions—Hamilton says “what about it?” At this point, the video discusses many recent scientific papers that point to livestock production as the single largest contributor to Green House Gas production—even exceeding all transportation sectors, yet the Sierra Club, like many other groups, simply does not identify it as a problem. The duo has similar responses from other organizations. For instance, when interviewing Rainforest Action Network about the causes of rainforest destruction, land clearing for livestock grazing and forage production is barely acknowledged. Their goal is not to embarrass these individuals or organizations, but rather to illustrate how the contribution of livestock to environmental degradation is too often ignored or omitted from official recognition by nearly everyone. The movie goes far beyond the obvious impacts of livestock production such as overgrazing of rangelands, and talks about everything from water pollution (from manure) to energy use in the production of meat to the mistreatment of meat-producing animals by humans. Overall it makes a very cogent and articulate argument against meat/dairy consumption. They even take on Alan Savory, advocate of more livestock production as a means of reducing global warming, pointing out that methane production from domestic animals is one of the largest contributors to warming climate, and vastly exceeds any ability of grazed grassland ecosystems to absorb more carbon. The video is full of facts illustrated with great graphs (like how many more gallons of water or the amount of land required in the production of a hamburger vs. a veggie burger) that will make it easy to understand why livestock are one of the greatest threats to global biodiversity and ecosystems. So why is livestock production and its multitude of environmental impacts so ignored by even environmental groups? The conclusion that Andersen and Kuhn come to is that it’s just too risky to discuss. Many groups depend on contributions from major donors and foundations that do not want livestock production criticized. The rancher and dairy farmer are cultural icons in many parts of the country—you cannot challenge them without risk to your organization’s financial security. There exists what I call a Bovine Curtain very similar to the Iron Curtain that once prevented outside news from penetrating the old Soviet Union. The Bovine Curtain comes in many forms. Land management agencies like the Forest Service and Bureau of Land Management seldom critique livestock production as a source of ecosystem degradation because they must answer to western politicians who often are ranchers or otherwise associated with agriculture. Similarly, many universities researchers do not investigate the negative consequences of livestock production and are silenced because they rely upon funding from legislatures dominated by Ag producers. In some states it is even against the law to critique Ag interests—as TV host personality Oprah Winfrey learned in 1998 when she was sued by a Texas cattleman for allegedly making disparaging remarks about beef. Even though Winfrey ultimately won the suit, she no longer will even discuss the issue so in essence the threat of another law suit has silenced her. My personal experience confirms Andersen and Kukn’s assertions that there is an unspoken and explicit desire not to discuss livestock as an environmental, ethical, and health issue. For instance, I once worked for the Greater Yellowstone Coalition (GYC) in Montana. GYC expressly forbade me to discuss livestock production’s contribution to the issues that the organization was highlighting. The organization’s board of directors included many wealthy people who had purchased ranches in the ecosystem and raised cattle. And GYC, like many western based environmental groups wanted to avoid antagonizing regional politicians like county commissioners to governors and Congressional representatives who are frequently ranchers or otherwise connected to Agricultural interests. For example, when I was asked to discuss the threats to the ecosystem at the organization’s annual board meeting, I was not allowed to mention livestock production even though many of the issues the group was fighting could be traced directly back to ranching as the ultimate source of the environmental problem. Whether it was dewatering of rivers for irrigation and its detrimental impacts on fisheries, to the spread of disease from domestic sheep to wild bighorn sheep, from the killing of bison that wandered from Yellowstone Park to opposition to wolf recovery to the continued policy of elk feedgrounds in Wyoming, the ultimate source of the problem was and is livestock. However, GYC was unwilling to frame the issue that way for fear of antagonizing its board and/or regional politicians. The cow conspiracy is not only in the West. I lived for a time in Vermont where dairy farming is relegated to the status of a God. For instance though dairy farms are the chief source of pollution of Vermont’s rivers and one of the major contributors to the eutrophication of Lake Champlain, there is virtually no critique of dairy farming in the state. No environmental groups are actively pursuing reduction in dairies despite their well documented environmental impacts, not to mention the health risk associated with consumption of dairy products. Instead dairy products are lauded as “good” in Vermont and supported as “local” agriculture. Ben and Jerry’s Ice Cream,which was founded in Vermont, is often held up as a responsible corporation even though consumption of ice cream is extremely unhealthy to consume. And while a few groups discuss the negative consequences of sprawl on the landscape, they virtually ignore the far greater acreage in Vermont that is degraded by corn and/or hay production to feed livestock. Of course dairy farming contributes to many impacts from manure, fertilizer and pesticide run off into streams, GMO seeds, to the mono cropping that destroys native biodiversity. Even Bill McKibben’s 350.org, a group based in Vermont and dedicated to reducing global warming, fails to mention the contribution that livestock production makes to global climate change. The truth is that there are very few environmental organizations that are willing to even discuss livestock production’s impact on biodiversity and ecosystem function, much less other related issues like human health and ethical treatment of animals. Hopefully after viewing Cowspiracy: The Sustainability Secret you be will motivated to start questioning politicians, environmental organizations and others why they are ignoring what is ultimately one of the major contributors to global climate change and biodiversity losses. You can find out more about the movie at this link– cowspiracy.com. Watch the trailer. Get a copy of the video and show it widely. Arrange for a showing at conferences, in your college classes, at your church, and any other forum. Better yet support Kip and Keegan’s efforts by making a contribution to them and joining one of the few organizations that are directly addressing livestock impacts on public lands like the Idaho based Western Watersheds Project. Other groups frequently challenging the livestock juggernaut include Predator Defense, Center for Biological Diverstiy, Wildearth Guardians, and the Alliance for Wild Rockies. 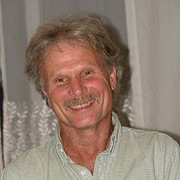 Author’s Bio: George Wuerthner is an ecologist, author of 37 books dealing with wildlands and environmental issues including Welfare Ranching: The Subsidized Destruction of the American West. He is also a board member of Western Watershed Project. I had a chance to see this documentary along with the two directors when they passed through town a couple of weeks ago – and ended up buying a copy of the DVD. Needless to say I’ve watched it a handful of times since then, showing it to friends and co-workers. It is sad, and rather pathetic, that just about every so-called environmental group has been and still is going out of their way to avoid talking about this issue. However, RAN is now (slowly) stepping up their coverage and exposure of cattle’s effects on the planet but other’s still haven’t followed suit. One big shout out though, and that’s to Western Watersheds Project for coming out and speaking after the film. They have been at the forefront of this fight for quite a while now and needs everyone’s support. WWP does a great amount of good and are often overlooked. If you have not seen Cowspiracy, you should do yourself a favor and check it out. Yes, I recall seeing that when it came out, but thanks for the reminder, I’d forgotten about it. “Delicious dish, how do you make it?” “Well, you start with 3 pounds of golden retriever, well marinated…” Ha ha. The animal industrial complex “naturalizes the human as a consumer of other animals” and carnism is the result. I am working on getting a showing in Steamboat Springs, Colorado. I’ve was referred to a group who’s Mission Statement is about Sustainability. I ran into the same issue as did the producers of Cowspiracy; this group is somewhat reluctant because they have an association with the County Extension office. I sent them my copy of the DVD anyway – can’t hurt to rattle their cage a little. I’m glad i don’t eat beef. People don’t want to give up eating meat. I watched a clip of this, and one thing that bothers me about it is that it seems to excuse the general population for their part in it, by saying they don’t know or the industry is to blame, which is partially true, but which makes it appear that people can’t think for themselves. The primary responsibility is with each one of us – and if many people either gave up eating meat, ate less of it, or protested agricultural methods and brutal, unfeeling factory farming – I’m sure we’d see some results. Actually, we do see some results already. Although I didn’t grasp that myself when I was younger most people will admit that demand dictates supply. As depicted in the last third of the movie there is a ton of innovation in the no-meat food sector due to increasing populations of people eating much less meat – be it “only” flexitarian or fully vegan. There is a reason for more and more investors – big names like Bill Gates and others (e.g.beyond meat etc. )– are jumping on the bandwagon: they rightfully hope for their sales to skyrocket in the medium-term when there will be a massive shift in what people eat. Baseline: Most people are just born into this system without EVER directly making a choice for eating meat. It’s just that we come to think of it as normal, natural and necessary that we partially lose our ability to question the rather obvious thing: Why do we eat certain animals why we would never think of eating some other (pet) animals? There is no rational reason why most cultures choose different subsets of animals which they deem edible whilst others are taboo. Ever heard of dogs being eaten in north-china? Generally, humans like non-human animals. It’s the rule. It’s people learning not to like certain animals that is the exception. Not many years ago I though of vegetarians and vegans as irrational over-emotional wet blankets. Now I know that going vegan can be a truly rational choice. It is just a logical conclusion. For people who go vegan for animal rights reason it can be pretty hard not to be angry about meat-eaters because they allow for animals to be bred for a life of pain and suffering and support it with the money they pay for animal “products”. Although it does work that way please don’t blame meat-eaters. Try to forgive them and educate them. Allow them to admit there might be a problem they weren’t truly aware of. Acknowledge every little step they take and motivate them but don’t force them to give-up what the can’t think of omitting. Show them alternatives. And last but not least: In the figurative sense most people have never travelled beyond city limits in terms of food although there is a whole universe of super-tasty foodstuffs you never knew existed. Go on a journey of flavor. If you are eating meat just stop for a while as an experiment. Try fresh fruits and vegetables you have never tried before. Discover all the diversity in flavors the kindoms of fungi and plantae hold for us. (Super impressive. Don’t worry about the language, it’s all about the pictures. If you open one specific article you can change the language anyway). For me this journey led to the insight that meat has only so little to contribute to our cuisine compared to all the vegetables and fruits in the world. Oh, and did I mention spices? After all the “taste of meat” is expendalbe. But if you give up meat you don’t have to give up taste. That’s a bit like saying each of us voluntarily saving a little bit of energy is the solution to CO2 and other pollution problems. I’m sure that’s the solution energy companies would like us to concentrate on, since Goddess forbid we’d think to try more effective methods, like applying some taxes, removing subsidies, or other tricks, to affect everyone’s behavior. I’m not saying doing good personally is not useful, and I would emphasize that sin is proportional to effect size – I eat cow meat, about 1/20th of the average citizen, if I can believe the astonishing figures I see. That’s a bit like saying each of us voluntarily saving a little bit of energy is the solution to CO2 and other pollution problems. Well? 🙂 Maybe I’m being overly simplistic. But since you brought up the salmon derby, this is an instance where you can really see the connection of anglers to habitat protection and conservation, and species protection quite clearly. With wolves, I don’t think it is the same. Or not a derby mindset so much, but the connection between fishing and conservation of what you love and enjoy. i’d never advocate that abstaining from eating beef is anything but admirable. however, it ain’t sufficient and it’s not a strategy that promises results. it seems to me that it ought be done individually to accommodate personal integrity for any number of reasons. however, it shouldn’t be done with the expectation that it will foster systemic change. it won’t. the same is true of purchasing hemp alternatives, cutting showers in half, etc. These are things we do to make ourselves feel better, to act with personal integrity given what we know, maybe even as a springboard for conversation (and hopefully raising awareness) with friends and family, etc. they aren’t done because they alone promise any efficacy at bringing systemic change. I’d take an empowered citizen over an enlightened consumer any day. the change happens when people see themselves as citizens, not just consumers, and wrest control of the political levers of power back from the private interests who have hijacked them, used them to engineer this mess at the industrial scale, and convinced folk that the consequences of their corruption and abuse are the consumers’ fault. if not eating meat, or halving your shower, or buying hemp helps to inform and motivate political organization and action – then it’s productive. If not eating meat, or halving your shower, or buying hemp contributes to the idea that we’re sufficiently doing our part – and draws any oxygen out of the urgency with which we pursue political activism – then it’s counter-productive. 2.5% of Americans are vegan, add in vegetarians and you are still just at 5-8% depending on whose poll you read. But Beef is by far the worse meat and most people simply do not understand that. I think the problem is vegans are doing the selling and to them all meat is equally bad. I’d like to see a campaign focused on the 92-95% of us who are meat eaters. Stop eating beef! I don’t know, take a look at this, maybe pork won’t look so good to you, either. There are many Sacred Cows in the American West. Donahue’s study set off one of the biggest Sh_tstorms ever in Wyoming. She revealed from her bully pulpit at UW a very critical examination of the very real long and shortterm negative effects of modern cattle ranching. Not pasture and feedlot beef raising, but higher altitude open land ranching such as we have in the West. The cumulative effects of public lands grazing, modern ranching, subsidies, and how sustaining the ” Cowboy Myth ” and the bad economic model that is western cattle ranching were the primary driver of creating endangered species or leading the way to extinctions. That was published in 1999 , mind you. The Wyoming Legislature would’ve given Donahue the Joan of Arc treatment if they could have gotten away with it. As such , they vilified her like no other single person has been vilified in Wyoming who did not commit a capital crime . She dared to gore the Sacred Cow. The Stockgrower’s and their minions in the Lej were ruthless, even threatening the University’s funding. Donahue has a master’s degree in Wildlife Biology , but at the time was a UW professor in the Law School. The Cowboy Cabal seriously attempted to obliterate the UW Law School from the face of the Earth. That is not an exaggeration. They were reined in , but their sentiments not, even to this day. Donahue’s book ” The Western Range Revisited: Removing Livestock from Public Lands to Conserve Native Biodiversity (Legal History of North America) ” still sells well. Still listed at Amazon. The UW Law School is still turning ’em out, young JD’s and papersnappers… alumn such as Wyo Governor Matt Mead who was appointed by G. W. ” Brushclearer ” Bush as US Attorney back in 2001. Having said all that for some context, I cannot wait to see ” Cowspiracy ” . I feel it will be right up there with Inconvenient Truth and Gasland and Fahrenheit 911. We can hope. Yet again, money takes precedent over “doing the right thing.” Until mainstream environmental groups find the courage to take a stand against the destruction and degredation caused by public lands grazing, biodiversity will continue to diminish. Surely these groups know the truth. They just need to start speaking it with passion and conviction–now more than ever. Thank you for this thoughtful post, and personal anecdotes about your experiences working for enviro orgs. I’m already vegan, but watched the film a few weeks ago and am sharing it with co-workers and working on a screening for students at my university. I hope people wake up and think about their choices. Since it was the first time I ever used powerpoint only finalized it 2 1/2 hours before giving it, I read it without even lifting my head. Delivery was horrible. I need to re-do it. You can google it. I pulled a lot from Dr. Richard Oppenlander’s book FOOD CHOICE AND SUSTAINABILITY. Why Buying Local, Eating Less Meat, and Taking Baby Steps Won’t Work. Many of the facts in Cowspiracy can also be found in Oppenlander’s book. It’s very thorough. I love his powerpoint presentation online. Instead of blaming individuals for eating meat, I pointed out that for at least 40 years, we’ve been brainwashed by the meat and dairy industries’ grip on a so-called nutritional chart. It was first called the “4 Food Groups” and then the “Food Pyramid,” and currently Michelle Obama’s “My Plate” that puts a glass of milk on the side of the plate when it should be water. Then using the findings from THE CHINA STUDY, by T. Colin Campbell and son, who color coded the map of China where the most cancer was to be found and the least, as part of a study initiated by Chou En Lai, Premier of China from his death bed (from cancer), a rock solid rebuttal to the “nutritious value of animal protein,” was pounded in. 880 Million Chinese people were surveyed for that map (96% of the population), that showed that many in the city who were affluent enough to eat meat and dairy, had the cancer versus those in the countryside who were still eating their indigenous diet consisting mainly of plants. So, by coming at the Meat (oh and also the Fish and Ocean that created 80% of the oxygen), from all different sides, we can perhaps arm people with the truth about Meat. This documentary addresses a valid concern about large scale agriculture, but it does so very poorly. Many of the statements are sensationalistic and are not based on accurate science. You do not need to antagonize environmental organizations to get them to pay attention or do something. You will make more progress if you attempt positivity. I think it laughable that you all are screaming sustainability when years ago before we occupied this country millions of buffalo were the food source. Now our herds are managed better than roaming animals. What happens when you all no longer have a safe, available and abundant food supply in these United States? Your activism is depleting agriculture in this country. Who among you are farmers? Do you want to raise your own food? Or do you just want to complain about it?